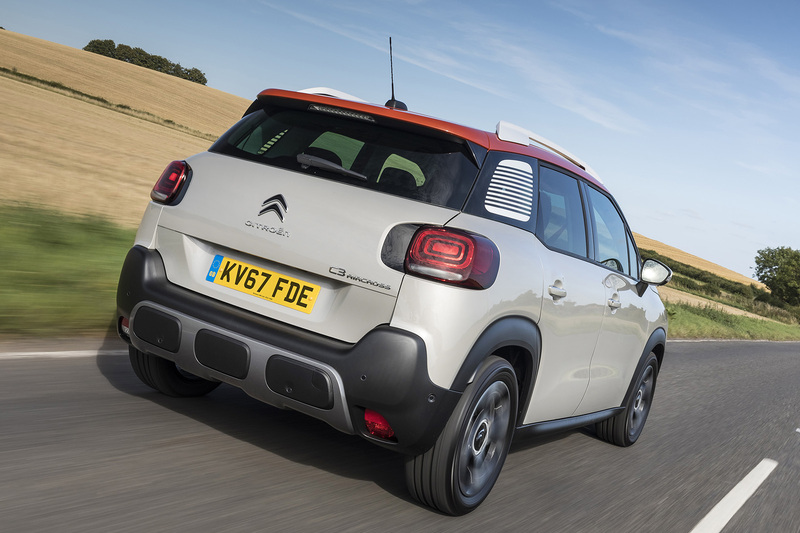 The Citroen C3 Aircross has got funky looks and a charming interior, but it's another small SUV, and another dynamic miss. 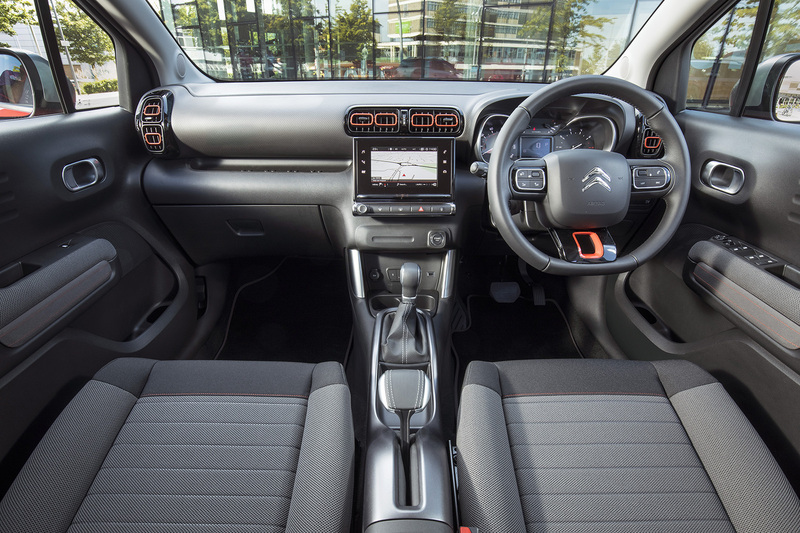 If ever there was a car that demonstrates changing trends in the car industry, it’s the Citroën C3 Aircross. In its past life, it was the C3 Picasso: a characterful small MPV. But seeing as nobody really buys MPVs any more, Citroën replaced it with a small SUV: the C3 Aircross. The C3 Aircross joins an ever-growing number of small SUVs like the Kia Stonic, Seat Arona, Vauxhall Crossland X and, of course, the genre-defining Nissan Juke. It’s also another that begins to blur the lines between high-riding hatch and SUV, such is often the subtlety of the niche. 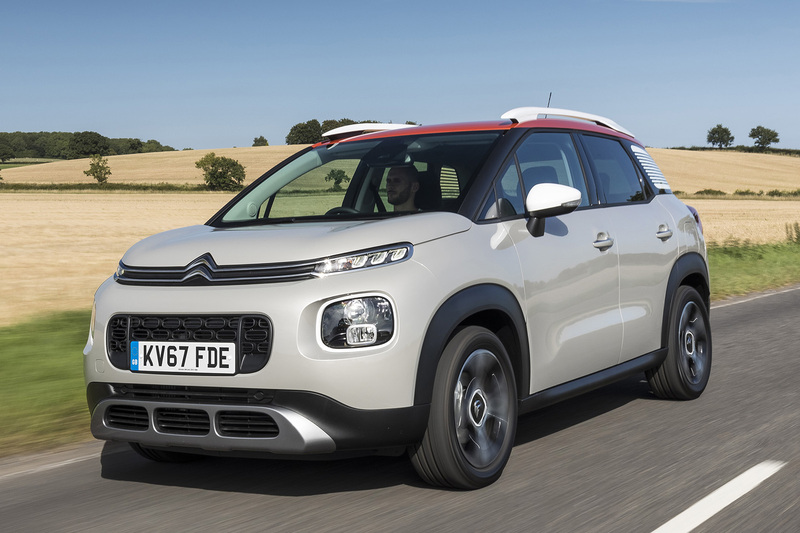 The C3 Aircross joins the Peugeot 3008 and Vauxhall Crossland X as the PSA Group’s most style-oriented small SUV, with the Crossland X looking relatively staid and the Peugeot 3008 comparatively grown up next to the quirky, colourful Aircross. On the outside, it looks fun. On the inside, it looks fun. To drive, it’s not buckets of fun. Let’s break it down - the engine is good. PSA’s 1.2-litre, turbocharged three-cylinder engine pulls well from any speed with its 128bhp and 151lb ft - it’s sprightly and makes the car feel more excitable and perky, with a satisfyingly linear delivery of power. The harsh, raspy engine note isn’t the last word in refinement, though, and adds unnecessary noise to the cabin. That becomes a bit of a cacophony at motorway speeds and on rougher roads – there’s a fair bit of wind and road noise. At least the ride settles down at those speeds, after being a shade on the fidgety side on normal roads. It’s inoffensive to drive, anodyne even, which here isn’t a good thing: the steering is remarkably numb, and makes you feel a bit remote from the road – a bit of a contrast to the over-stiff suspension. Unusually, going for the automatic gearbox makes the steering slightly worse – weighting it up spongily and taking away what (very) little feedback there was to begin with. Stick with the manual - it’s more at home in the dinky Aircross. Then there’s the interior. It looks fun and avant-garde, with interesting details splattered about the cabin, fashion-forward fabrics on upper trims and an altogether upbeat approach, where rivals like the Kia Stonic are a little on the plain side. The plastics aren’t of the best quality - give them a knock and they’re more sonorous than they should be. At all costs, though, especially the £950 Citroën asks for it, the panoramic sunroof should be avoided. Not only did it rob the car we tested of headroom up front, it rendered the rear suitable only for children. This is why it’s easy to be fascinated by small SUVs; there’s not one out there that can best a class-leading - or even decent - supermini. All are, in some way or another and in varying degrees of gravity, flawed. The flaw in the C3 Aircross is the mismatch between the fun image the car outwardly promotes and its comparative lack of fun to drive. SUVs, small or large, exude ruggedness, and a lifestyle that trades a low driving position and a little fuel economy for the image of fun. Unfortunately in the C3 Aircross, you have to trade a lot more than a few MPG. If you’re after a car that makes you look like you’re having fun, get the C3 Aircross. If you’re after a car to actually have fun while driving, you may want to look a little further. Another poor quality review from Autocar. Why? It told me all I need to know. I quite like Citroens new design direction but the creaking platform is clearly past it. And well Autocar for calling out this entire segment as a bit rubbish. These titchy crossovers offer nothing. sonorous? are you sure that's the word you'd like to use, given that all things make a noise when you hit them? was it that hard cheap rattle-fit sound of a 1980s jeep cherokee, or just the sound you get when you strike upon something thick-but-hollow? it really doesn't feel like you've actually described the experience. Did this one have 215/50-17 tyres? if so, i'm not surprised it was fidgety at low speeds - isn't everything on 50 profile? The rear only being suitable for children - i'm 6'1" tall, at the weekend i was in the back of a vauxhall insignia estate, and my head was constantly touching the roof above the door due to how much it curved in. Does that judgement also apply to one of those then? you complain it lacks sportiness, even though it clearly isn't intended as a sporty car, and then say it shouldn't have exhaust rasp. surely those two complaints don't belong together? lack of steering feel? perhaps. how long did you actually have it for, driving time/distance wise? this complaint was often thrown at xantias and similar citroens, yet with familiarity they were actually absolutely fine, and didn't understeer anywhere near as much as they were said to. I find myself wondering this; "what exactly were you expecting?" "creaking platform" ? in what way? Creaking as in it dates back to the 1998 Peugeot 206. The 206 had a better platform with IRS, this has the beam axle of the 207/C3. first cars on it properly were 2002, but even so, "creaking" ?it still passes crash tests, easily. it still compares to everything else pretty much the same. do you really think they haven't evolved or changed anything, at all? They've undoubtedly changed a lot, but the platform was never exactly a class-leader to begin with, and 15 years later is most certainly past its best. The Crossland X and C3 Aircross are the last throw of the dice for PF1, as the new DS 3 due next year will be debuting the entirely new Common Modular Platform, to be used by the next 208, Corsa and C3. In the review its paired with the 3008 which is more qashqai class sized isnt it? But also refer to all these small suvs not being as good as class leading superminis and it is compared with the juke so surely its Peugeot sister should be the 2008? Also if its creaking old platform debuted on the 206? That also points at it being a supermini as opposed to family car sized 306/7/8 class? Styling wise I like it but I prefer the cactus. I would like to see a comparison between them as the c4 seems cheaper than the c3.